The Self-Directed IRA (SDIRA) market has utilized the term "Checkbook IRA" to describe a strategy that utilizes a Limited Liability Company (LLC) as an investment vehicle so often that it has become synonamous with the actual structure itself. However, this can be misleading when one is describing the strategy that utilizes international structures for purchasing assets outside of the United States. As a result, many individuals are lead to believe that their international bank is going to provide a checkbook for their SDIRA/LLC and this is simply not the case. Checking acounts are common for companies to use for domestic transactions and would be considered the norm. 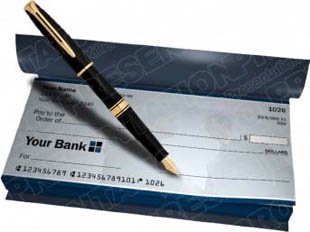 It is standard for a company to write a check to purchase goods, products and/or services. This is because the banking system is tightly integrated in the US and a corporate check is a standard payment instrument. As such, US LLCs that are setup to be investment vehicles are also able to create corporate checking accounts. However, this is not the case when one setups up an International LLC to be utilized in as an investment holding company. It is also highly unlikely that an international company is going to accept your US LLC's corporate check. What will they do with it? If they don't have a US bank account it is pretty much worthless to them. A SDIRA that utilizes an international LLC as an investment vehicle for purchasing assets outside of the US will typically be established with an international bank and have it's currency denominated in US dollars. This is very typical and, in most cases, desired by the beneficial IRA owner. However, international banks are usually established to do business outside of their jurisdicitonal boundaries. In such cases, their is no tight integration between banks and no ability to "clear" checks. For this reason, international banks utilize wire transactions to make payments to inviduals and corporations. And, it is atypical for them to charge a fee for such transactions. It is very important that you understand the costs associated with the banks inbound and outbound wiring services. It is also important to understand what types of transactions will be required by your alternative invesments. For example. if you are purchasing an piece of land as an investment there are very few transactions required for this investments. You would wire money to make the initial purchase and then maybe issue a wire or two annually for property taxes, association fees, maintenance, etc. However, if you purchase a condominium as a rental property, then you may have income and expenses that occur much more frequently and most likely on a monthly basis. In this case, their will be fees associated with moving money into and out of your international account on each transaction. Many times, the property management company can hold revenues on your behalf and disperse them quarterly, bi-annually or annually. You could also look at using a prepaid debit card to handle payment of expenses on a more frequent basis. Yes, they tend to have fees to have the card, load the card and use the card; but overall may have a lower cost of doing business. Regardless of what mechanism is used it is important you consider these requirements before setting up your SDIRA strategy. Utilizing SDIRA/LLC strategies for investing in non-standard financial instruments can be a very powerful. Understanding, what is required to create the appropriate structure, how to operate the efficiently and where you may find hidden costs is critical to maximizing returns.